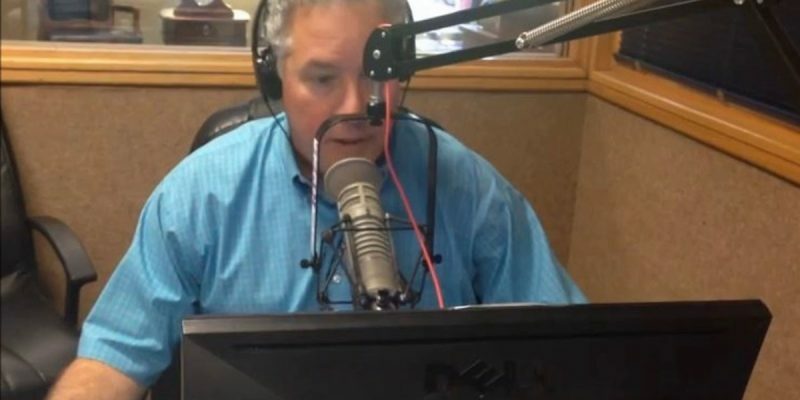 Stephen Waguespack, president and CEO of the Louisiana Association of Business and Industry, announced this morning he’s ended consideration of a possible gubernatorial bid. “I will not seek any elected office in 2019, but I will be an active voice to make sure next year’s elections are about substance rather than sound bites,” he says in a statement. That was seen as a bit of a jab at John Kennedy, the U.S. Senator who everybody believes – and for a reason – will enter the race and be more or less THE opponent to Democrat incumbent John Bel Edwards next year. Sure, Baton Rouge businessman Eddie Rispone is already in the race, but so far Rispone’s campaign hasn’t shown much of anything publicly to demonstrate it can gain a foothold with the public – and once Kennedy gets into the race, which is expected to happen in the next 10 days, it’s going to be tough for Rispone to get a word in edgewise. Waguespack’s “substance vs. sound bites” statement reflects a sentiment which persists where Kennedy is concerned. Everyone knows Kennedy has legendary skill at one-liners and wise cracks and political trolling; he built a reputation for it as state treasurer which has gone national during his time in the U.S. Senate, but Kennedy’s critics say that’s pretty much all he’s got going for him. Rispone ally Lane Grigsby, the Cajun Industries founder and longtime conservative political donor, caused no small stir in political circles when he lit Kennedy up to the Baton Rouge Advocate’s Mark Ballard last month, essentially along the lines that Kennedy was a lightweight where it comes to substance. Griffon’s rant was over the top, to the point where he’s guilty of the exact sin he’s been attacking others for – namely, the internecine warfare within the GOP which hurts the effort to knock Edwards off next year. It’s one thing to push back against a snide comment about Kennedy’s sound bites. It’s something else entirely to equate Waguespack with Jay Dardenne and Julie Stokes and say he’s a closet Democrat and a liberal – that’s idiocy, and destructive idiocy at that. And about 10 minutes in, he walks it back a bit by claiming he doesn’t have a horse in the governor’s race. Give us a break, Moon. It’s pretty obvious you’re with Kennedy – and that isn’t a criticism, because we all know Kennedy is going to be the candidate barring something unusual. What’s at issue is this idea it’s necessary to play enforcer against those who would hold him accountable during this campaign. What’s the intent of that? To curry favor with Kennedy’s crew? Is such an outburst even productive to that end? What Waguespack can say in response to Griffon is the latter’s rant is the kind of substance-free garbage he’s trying to get the state beyond in next year’s cycle. And he wouldn’t be wrong. We’ve had this discussion before within conservative circles in Louisiana, and we’ve touched on it here at The Hayride a couple of times. There is this debate on the Right about whether you can win elections on policy, or whether you’ve got to do it with sound bites and showmanship – and the second level of the debate is whether elections won on sound bites and showmanship preclude the application of policy reforms of any value, because things you don’t run on don’t carry the public’s imprimatur when you attempt to pass and implement them. We know that Waguespack comes down on the policy side of this question, because we’ve been in the room for this discussion and we’ve heard him out on it. Waguespack is distrustful of the “God and Guns” political message which is so often put forth as an avatar for conservatism, and not because he hates Kennedy – whether he hates Kennedy or not, what drives his distrust has far more to do with the 2007 legislative elections, in which the first batch of winners in the Term Limits era swept into the state capitol on “God and Guns” messages and proceeded to greatly disappoint with respect to more substantial conservative issues. That legislature wouldn’t pass pension reform. It wouldn’t pass tax reform beyond repealing the Stelly plan. It wouldn’t pass tort reform. It wouldn’t even pass something so obvious as a Paycheck Protection bill to get teacher unions off the direct taxpayer dole. So from the standpoint of somebody who was paid to work policy both within the Jindal administration and now as head of the state chamber of commerce, Waguespack’s lesson is that somebody who runs on God and Guns and never gets into the weeds on the hard issues can’t be assumed to be on the right side of them. Is Kennedy to be included in that group? If you want to assume Waguespack lumps him in with the Clay Schexnayders and Blade Morrishes of the world, who talk a good game but don’t deliver on substance, you might not be wrong. There are lots of people not convinced Kennedy is fully willing to make transformative reforms as a conservative governor, and those people don’t get paid to push those reforms like Waguespack is. The other side of that debate, which we probably land on and Kennedy certainly would occupy as well, holds that if you want to get elected in Louisiana you run on the God and Guns platform because that’s what wins. Hell, that’s what won when this state usually elected Democrats – a John Breaux would take to the hustings to tout his pro-life and Second Amendment credentials and position himself as the most conservative Democrat you ever saw, and once he got elected he’d be cutting deals with New York socialists on Capitol Hill to the amazement of confused voters back home. Not a whole lot has changed other than that now these people are Republicans and they’re cutting deals with John Bel Edwards in Baton Rouge instead of Nancy Pelosi in Washington. That’s the game you play if you want to get elected, because Louisiana voters don’t believe policy makes a positive difference in their lives. They don’t believe it because they’ve never seen it work. As far as the average Louisiana voter is concerned this is the Cleveland Browns of state governments – it’s always going to be last in the league in all those public policy metric rankings, and no politician is ever going to change that, so what they want is a good show and a commitment to let them go hunting and fishing without harassment, to catch and jail as many criminals as possible, to keep the left-wing nuts from interfering with church and to try to insure LSU has a good football team. Those might be low expectations but the average Louisiana voter doesn’t see any evidence the politicians are capable of delivering anything else. So if you want to win make sure you can assure the folks those things. That’s pretty much how John Bel Edwards won, after all – and while everybody thinks it was “hookers” which brought David Vitter down, the truth is Vitter had put on paper a breathtaking list of conservative policy reforms he was going to push as governor and every special interest in Louisiana lined up against him to fund the Gumbo PAC’s of the world to turn “hookers” into a fatal political flaw. Thus the lesson is you really don’t want to run on policy issues. If you want to win, your charge is to be an entertainer and keep it light. But the guys who can win with sound bites and showmanship may or may not have any substance to them. You send somebody out to spread b.s. to the public, and what you don’t know is whether it’s not you who’s getting b.s.’ed. That’s what’s really going on here with Waguespack’s crack at, ostensibly, Kennedy. Griffon would have done his audience a favor discussing the substance-vs-sound-bite issue rather than ranting about Waguespack’s relevance as a gubernatorial candidate. Call it an opportunity lost. But to end this on a positive note, there is an easy – and, as it happens, quite doable – solution everybody in this debate can agree on. Namely, that if conservatives can run the table in the legislative elections next year by recruiting and supporting legitimately conservative House and Senate candidates who will commit to a small-government, economic growth reform agenda, Kennedy can run on whatever will win him that election over Edwards and it won’t matter much – the substance will come from the Legislature, which will get busy passing the bills conservatives have dreamed of in this state for decades, and all Kennedy has to do is sign them. We know that’s what Waguespack is focusing on. It’s also what Attorney General Jeff Landry, who chairs the Louisiana Committee for a Conservative Majority and who also announced last week he isn’t running for governor, is focusing on. And there is no reason for Griffon to criticize those efforts. So can we please stop that fighting?